Providing the best possible working environment for tenants is a goal that Zippy strive to achieve in collaboration with our clients. 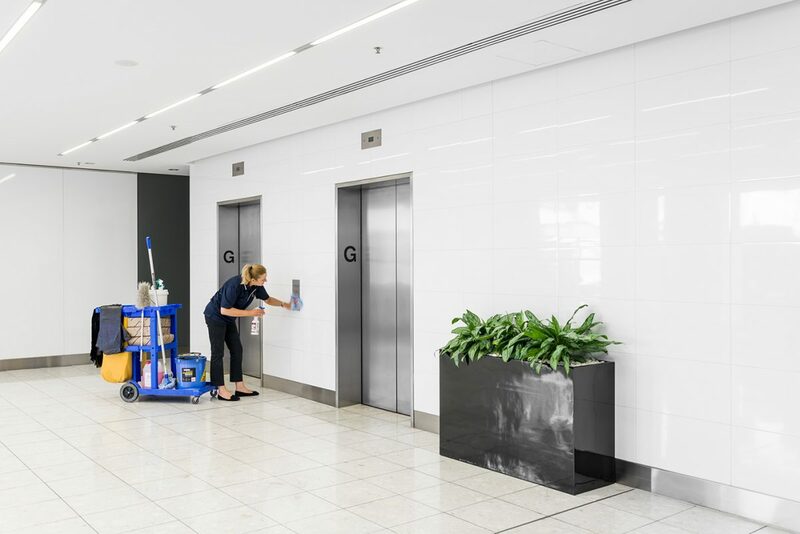 We have extensive experience in the provision of commercial cleaning and maintenance solutions to all types of facilities and understand that building owners and property managers are seeking reliable service providers that can oversee all services required on site. At Zippy, we are committed to being at the forefront of environmentally sustainable commercial cleaning practices and this is demonstrated through the many innovative solutions that we are able to offer our clients. Zippy is proud to be the first South Australian cleaning company to achieve GECA Accreditation*, which further shows our commitment to our clients’ impact on the environment as well as our own. Together with our clients, we can assist in managing the environmental impacts of their property portfolio to achieve their environmental performance rating goals including NABERS and Green Star ratings. We are able to provide our clients with innovative cleaning solutions such as green certified chemicals as well as chemical free options for complete cleaning solutions that will enhance the sustainability of buildings and tenancies. Zippy are proud to be able to offer commercial properties the opportunity to improve the health of all property visitors through our innovative chemical free cleaning options. This is achieved through the use of Stabilised Aqueous Ozone technology that transforms regular tap water into a powerful cleaner, stain remover and germ killer. This system produces a cleaning agent that is more powerful than bleach but contains no chemical whatsoever and is safe enough for use on food products. Together, we can create a safe and healthy environment for all individuals who visit your property. At Zippy, we understand that building and tenancy security is paramount when providing commercial cleaning and maintenance services. Therefore, it is a standard requirement of all Zippy staff that they hold a National Police Clearance prior to commencing work on any of our sites. Furthermore, we are able to ensure that our staff hold or obtain any additional clearances that our clients require, Working With Children for example.